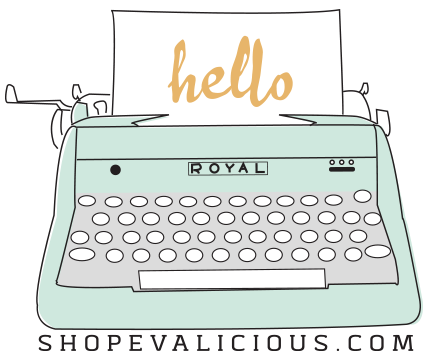 hello, all! 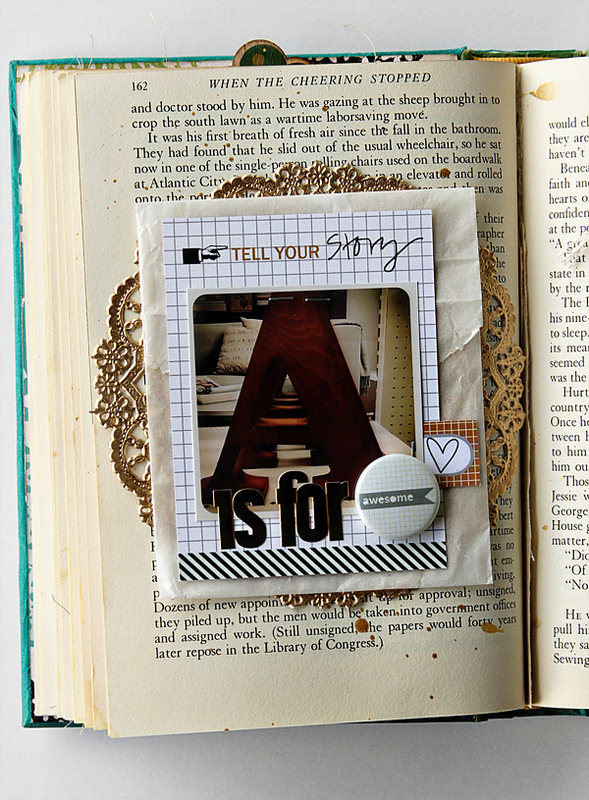 alissa here with more little page inspiration from my altered fall 2012 book. 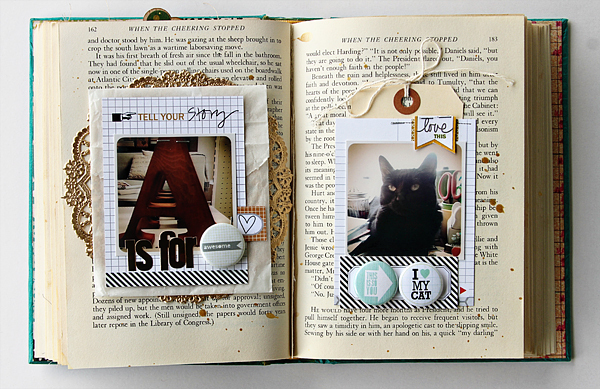 i just love using the 3x4 cards for the background paper on my little pages. the snipsnip label tags and badges are perfect for layering on these little pages. just the perfect touch. 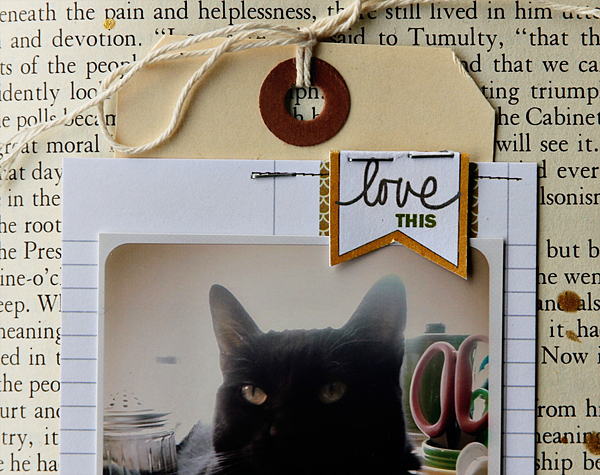 i took natalie's inspiration from last week and used 2 badges on one label tag. so cute. 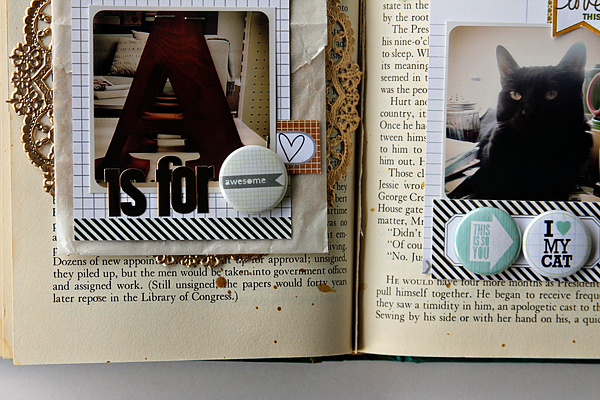 i cut the little banner shape out of the page tab here from the real life page tab set. 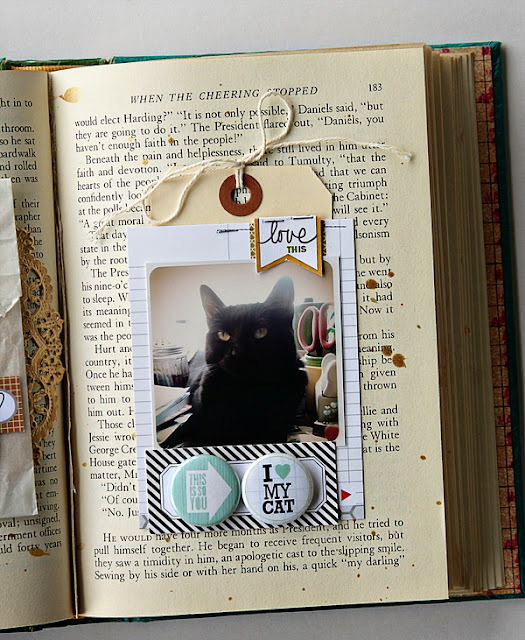 so, if mini books have been something you've been thinking of trying, make sure you are using evalicious products to make them quick and easy and cute!